PAM: Hi, everyone. 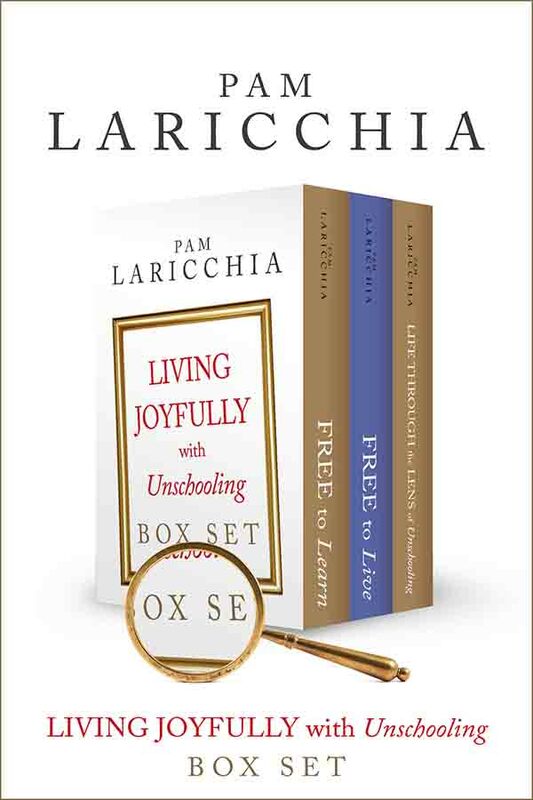 I’m Pam Laricchia from livingjoyfully.ca, and today, I’m here with Pushpa Ramachandran. I got that right, right? PAM: Hi, Pushpa, how are you? PUSHPA: I’m good. How are you? PAM: I’m very good, thanks, and it’s wonderful to have you on the show. 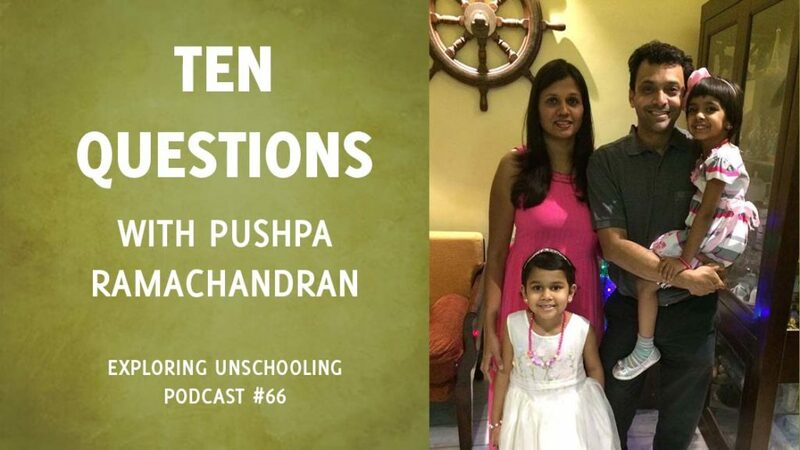 Pushpa is an unschooling mom of two in India. I have been reading her unschooling insights for a number of years now, and I love the glimpses into their unschooling lives that she shares on Facebook. She’s also an experienced speech pathologist. And I have ten questions for you, Pushpa, so let’s dive in! PUSHPA: It kind of just happened. When Veda was really little—Veda is my older one—she had some trouble with feeding and I kind of just went down the rabbit hole that google is. I kind of stumbled upon attachment parenting and that led into, I think, a google search on homeschooling and that led into unschooling. 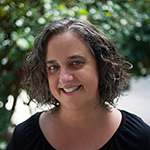 I found out about this person who is Sandra Dodd and I kind of went on her web site. I was surprised to hear that there is something that is known as homeschooling. I mean, I did not even know about that. Even though I had worked in the United States in the school system and with disabilities. I do not know why I had never heard about homeschooling. After that, I think I started searching online locally about what was possible. I stumbled upon two names. One was Urmila Samson there was an article about her sixteen-year-old who had never been to school. And the other name that came up on google was Hema Bharadwaj. She had a blog at that point and I was just hooked. I was reading her blog about her kids. I discovered that Hema lived not too far from me so, the eager beaver that I was, I emailed her. Initially she did not email me back because I think they were traveling or something. Then I ended up picking up the phone and calling her and she was in the middle of what it sounds like at that point, was just the chaos that an unschooling family is in the middle of all the time. Busy, busy time. She just told me to come over. I went over and I will not forget that first day. Both her kids were busy doing something. Her younger one was busy playing something and her older one was busy with the video games. I was just very surprised to know that both her kids had never gone to school and then I was surprised to know that she was connected to other people that had never gone to school. In the meantime, apparently, I also attended a talk that I took my husband to that Urmila gave in Pune and I think she spoke quite in length with another homeschooling mom about how both their kids had never been to school. Up until that point I did not know that this was even a possibility; that you could have kids that didn’t go to a structured school. I did not know why I did not know that but that came in as a bit of a surprise to me. But then I think once I heard their stories and I started meeting Hema, and Hema was very generous and included me in this big group of other moms. Although I only had an 11-month-old, the group just kind of took me in and I started hanging out with all the moms. Even though my child was much younger we would go for all the events. They were just informal events and picnics and play dates. I just kind of got connected with all those moms. Some of them are now writing online and some are not. 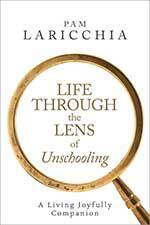 It was a just a nice opening for me directly into this world of unschooling. Because most of them were unschooling at that point and this is seven years ago or so. PAM: That is so fascinating. I had not heard the word homeschooling for the longest time too. And then, isn’t it so fun how find there is this whole community out there that you did not even know existed before? PUSHPA: Yes. My husband and I often say that there are so many parallel worlds out there that we do not even know exist. 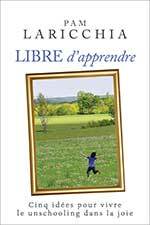 In this example it is unschooling, but we have also found that that is true for almost anything that you are interested in. PAM: That is so awesome. I have met Hema a few times as well, she is a lovely, lovely woman and it is great hearing how they all welcomed you in. You just hung out and got to see unschooling families in action while your child was still young, right? PUSHPA: Yes, Veda was definitely the baby of the group. The biggest draw for her at that time was not really any of the other kids because all the other kids, including Sangeetha’s daughters, they were a lot older. Veda was definitely the baby. So, the biggest draw for Veda at that time was Hema’s dog, Snowy. We would end up going mainly to play with the dog. But because of those visits I really got exposed to children that are not in school at a variety of different ages. Going all the way from mine that was like 11-months-old but not even, and would not have gone to school anyways at that point. But then there were Urmila’s kids, I think her eldest was already sixteen but her middle one was around twelve or something like that. So, it was nice for me to see all of these different age range kids that were not in structured school. PAM: Yes, that sounds awesome. PUSHPA: Veda is seven and a half now. She will turn eight soon. She is interested in many, many, many things. She has been in a Bollywood dance class. She has been going to that dance class for like three years now and she has given a couple of performances. Her last big performance was in a formal auditorium and it was just the dance families that were the audience but it was still a nice experience. She wanted to do that. We have recently just stumbled into the world of Lego. That can just consume hours. She likes to watch YouTube videos and follow recipes. And just lately has been trying to do a lot of independent non-heat cooking recipes that she comes up with. Either inspired by a video or just she just thinks of something and needs to do it like immediately. She likes art so she likes to craft. She calls them her projects—I think I might have something to do with that word. She likes to travel with us as a family. She is excited whenever we are traveling because she likes to take the train in India. She likes all her friends, she loves her cousins, so we have a lot of upcoming meets with cousins. They are coming to stay over, we like to go visit. She likes making lists, that is her new big thing. She started to write on her own, so she likes to make long lists for anything. Yes, that’s Veda. Vinaya is four and a half and she likes to kind of follow her old sister. She does not like to be not involved in any project that Veda starts. She will just jump in right along and say, “I want to do it too!” So, all of that except for the Bollywood Dance Class. Vinaya, pretty much all of those interests are also something she likes to jump in on. She really is big on helping around the house so she likes to put the dishes away, help me fold the clothes, you know. She also very interested in like doing stuff around the house. PAM: That is fascinating. That is a lot of things, that is wonderful. PUSHPA: They also like books, they like TV, and they like watching the tablet, and they like playing with their dad. I mean, if I think about it now, they do a lot of different things all through the day. PAM: Sometimes it helps to take a moment to notice those things. Sometimes we get stuck on one or two things that they are doing, but if we sit and think about it for a minute, over the course of a week or two there is a lot of stuff. They have time to do a lot of things and still focus a lot on one or two things. Don’t they? PUSHPA: Yes. I am starting to realize that, I think, because we have so much time since all of our activities are mostly local and I am not yet at that point where I am having to drive them around a lot. I think even two or three hours with on activity like, let’s say, maybe it is Lego or maybe it is crafting something, I think that is very satisfying to have that uninterrupted time to sit with that thing and not have to be rushed to move on to the next scheduled activity or whatever. I think that block of time has been I think helpful. PAM: Yes, and I think it is so nice that they can do it with whatever length of time suits them right without those interruptions that is awesome. PUSHPA: Yes, that has been nice. PAM: And it is so interesting to see what it is that catches their attention for longer periods and how that changes over time. You know, like it will be a half an hour one time and another time some idea will catch and it will be three hours. It is always so fascinating to see how it develops. PUSHPA: Yes. Lately Veda has been doing this thing where she likes to sit with her dad and that has been more late night because he comes back later from work and that is the only time they get together because he leaves in the mornings and then all week is like really busy for him because he works full-time. So, they watch all these videos on Animal Planet. It is all about snakes and reptiles and they have this common love for that and that is the only time they get. These videos are pretty detailed. They are talking about these animals and how they behave and he is telling them stories about when he was involved with all these conservationist that used physically handle snakes. I think that is nice that she does not have to get up super early in the morning to have to go somewhere, so she can have that two hours of Animal Planet time watching all those videos that showing animal behavior or whatever and talking with her dad about that. PAM: Yes, that they can connect when it works on his schedule right you know whenever that is. You do not have other things pulling at her, awesome. That realization was a big piece of the unschooling puzzle for me and helped me release the pull of curriculum. How did it come about for you? PUSHPA: Maybe because my children never went to school, I never brought in a curriculum. So, I was talking about curriculum as in like anything off the shelves but I think another way to look at curriculum was from some of the other unschooling moms that I have talked to. Everything we do together if I put it together and I wrote it out that would be some kind of curriculum. It is just that she is picking and choosing and I am brining in new stuff so. But I think this realization—I do not know if I can claim that I entirely have it, yes, I am knowledgeable about buying something off the shelf and trying to schedule a sit-down time to learn it, but I do have my anxieties about will she learn this will she learn that. But I think slowly, you know, it is percolating that everything is connected. That usually is happening for me personally by just all the connections that she is making and I am seeing that all those missing bits or pieces that I think that are missing are falling in because she will make something or she will say something that I will be like, “Wow, she figured that out.” So, I think it is an ongoing process. It isn’t like I can tell you the date that that realization kind of came about so it is still a very much an ongoing process. As she learns and as I learn that she learns, and as I learn that I learn, I learn that everything is connected. It is something that we learn deeper and deeper over time, but for me, it really meant that I needed that longer-range window to look back and see those connections. That showed me, “Look, following their curiosity took them to that thread, took them to so many cool places,” whereas the curriculum that (because my kids went to school for a few years) that they would follow step by step by step. It was just so much wider when they were following their own curiosity and interest. Over time, those connections were beautiful, really, and you could see them by looking back at what they had been doing. PUSHPA: We watch a lot of animation movies and the creativity that is coming out in movies that are made now is just amazing. An example was like this movie that they really liked for awhile back was Mr. Peabody & Sherman. That movie has time travel, and worm holes and they dip into all these different civilizations. So, you know my previous conditioned self might have previously looked at that movie as something that was just a fun thing look at, but now my unschooling side has seen how they talk about time travel and how they are talking about making a machine to time travel. Then they get into this whole concept of space travel. Then we dabble a little bit by joining the local astronomy group here and so then they are hearing all these terms and they are connecting all of that with the plot and the characters that they have seen in these movies. So, then you suddenly realize, “Wow, you know this fun movie that was just something that they watched for two hours is actually so very rich and deep in all of the different things that it can lead to!” It is such a fun way to be exposed to that stuff because that is not how I was exposed to it. PAM: Yes! You use the word “rich”—that was what I was thinking as you explained it! It is just so rich all the places that their connections take them. All the places that they can see, how they will see connections even in seemingly unrelated activities because it is something that they have been thinking about and they pull all these fascinating connections and pieces together in their play, when they are out and about, when they are watching something. It is really cool, isn’t it? PUSHPA: So, it is not illegal to homeschool. There is something called a Right to Education Act which was really made for there is millions of kids in India that do not have access to education because they are working as child laborers and things like that. There was some confusion about whether the Right to Education Act required mandatory schooling, but from what I understand, and from what I understand and how the homeschooing families that have explored this deeper and some of those dads have explained it to me, it is not illegal to homeschool in India and the onus of educating that child at home is on the parent, while it is the right of the child to go to school if the child so chooses to. Which is the case for us—if Veda wants to go to school I will be happy to take her, but until that time it is my job to make sure that she gets a well-rounded education at home. There is an organization that is called Swashikshan. So that organization just kind of came out in about a few years ago. They have since then had annual meets in the Indian Homeschooling Conference it is called or the Swashikshan Annual Meetup, that is the new name, I guess. We just recently went for a five-day homeschooling conference that was organized by other volunteer parents and we met like 40 different families that are either homeschooling or unschooling. They are on different tracks based on whatever is working for them. 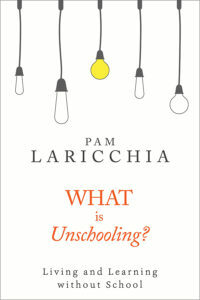 I think it is hard to know how many families are actually homeschooling/unschooling. I mean every time I just flew out an email last week I was really surprised to know that there were all these people living right around my house that are homeschooling or unschooling. They are just busy. Maybe they do not feel the need to connect with other families or they are already connected to a few homeschooling families so their needs are being met so they do not really feel the need to connect with a big group. That is fine. In Pune, there is a Pune homeschoolers google group that Urmila started. A lot of families that are thinking about homeschooling join that. I hosted a meet at the University grounds which is five minutes from my house. So, there are families that came there to meet us and there are three Facebook groups that got started: that organization that I mentioned, Swashikshan, has an official page and a group, and there’s the India Group for Homeschoolers & Alternative Education. I do not know everybody on those groups because those groups are really big and there are so many people on them. It seems like there are all these different platforms that anyone that is interested. Swashikshan also has a website that has many articles including a couple of mine and there are lots of Q & A’s on it. 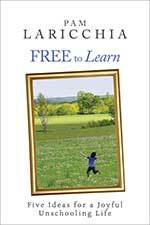 I think that was nice that Navine and one of the dads put together this website so that there is a place online for people to go to and look at if they are thinking seriously about homeschooling or unschooling their child. PAM: That is awesome, and yes send me those links and I’ll be happy to put those in the show notes for people so they can connect if they are looking. PUSHPA: I think, that article I wrote a long time ago, so actually my way of being a parent now is not that way any more because my kids do not need me that way anymore. They are really busy. In fact, I am not included in a lot of their play because they have multiple levels of complexity that I can not keep up with. I mean, I am not invited a lot of times because they already have the background play that they have spent hours playing and I have errands to do or I am doing something else, so by the nature of that, I am not in on that play plot. They are so busy playing with each other. They do include me in a lot of other play activities but when they are in that creative imaginary role play they do not really need me in that way. It has been interesting. Because of this change lately I have been able to start a part-time clinic, I have been able to pursue some projects on my own that they come and jump in where they can or you know depending on what point I am in the project. But then I am also around to take them to events and plan other play dates with other homeschooling moms and we all go together to different events and plan activities with family and friends. It just kind of organically changed the way I need to be around my children. PAM: That is really interesting to hear. I would imagine that a lot of your willingness to be actively close and with them when they were younger had them feeling safe and secure enough that they were comfortable knowing that you would be there and support them whenever they need so they are more comfortable doing their own things now. Does that make sense? PUSHPA: That helps. I also live with my mother-in-law so I think having that loving grandmother around also helps a lot, especially lately. When they were younger they were definitely a lot more with me even though the living situation was the same. But now I mean I can literally take off for like three or four hours to get something done if I need to and they are quite happy. It is not like she is with them all of that time she does her own thing and she is available for them to get something out of the kitchen or do something, but they are really busy. Past eleven o’clock they are really busy playing with each other and these games are very elaborate and very complex. PAM: That is awesome. Sounds like a lot of fun. PAM: It would be fascinating, I am sure! PUSHPA: They are recording. There is an upcoming YouTube channel in the works so they are busy recording all these plots. I have seen some of it, but it is hours of footage. I do not know how we will ever edit it or maybe we will just have to reshoot it. So they like this channel, CookieSwirlC, she does all these interesting story lines with all the toys and ponies and so they do their own versions of it and so that is hours of footage they are shooting together. PAM: That is awesome. Sounds like a great project! PUSHPA: It is interesting. Because of this interview I actually went online and tried to look up like what the history of education was in India. I kind of researched a little bit and religions actually had their own schools that were in vernacular languages. A lot of them were skill-based and trade-based. There were certain communities that actually went to school if they were to turn into the priest and they had to learn all the chanting and all of the religious rights. So those schools were different. If the teacher was willing to accept a student, then the student actually boarded with the teacher and lived away from his family. I guess that was the initial beginnings of what is a boarding school. So that was traditional. The kids that did not get to go there they were obviously homeschooled at home by their parents and they learned everything that was trade and skill based. To me, I am starting to think that homeschooling was not really all that new in India traditionally because children learned to be an extra help at home for just the purposes of living and livelihood. So, if they were a farmer’s child they would learn to farm. If they were a cobbler’s child they would learn how to mend shoes. All of that skill-based learning was just at home. Also, girls traditionally and even now—which is why the made the RTE—the girls traditionally were expected to by the age of eight or ten be full fledged and qualified to cook an entire meal for a family in the kitchen. So that is all home-based education. It is not like they are going to culinary school to learn how to cook for seven people. So, I think home based education has always been around. Colonization kind of changed things. India has been colonized by many different groups. Every colonizer came and started their school to try and impose that. The British system is when the schools kind of started deciding that we are not going to teach the vernacular language anymore and all the people have to learn English. Indians started getting schooled to become clerical help for the British system. That is kind of the origins of the modern schooling that happened. So home based education is not a new concept really although everyone seems to think that it is so radical right now. PAM: That is fascinating. I know how relatively new school is, but it has so quickly woven its way into society, hasn’t it? It seems that it is totally mainstream, and not going to school is strange. PUSHPA: But having said that, I can see why. Education is something that my parents have provided me and my sister with and they are very proud of it, and rightfully so, because it has opened doors for us. It has changed our economic position it has given us skills to travel abroad to be successful woman and mothers. So, I can see why that perception that education is so important is valued. It really has tangibly changed the economics of many, many families that otherwise would not have access to better healthcare, better homes, ability to travel, more spending money, all of that exposure. For many families, in India schooling and getting those degrees and getting those jobs has lifted them out of difficult situations. But I am starting to now learn how to tie both of those together so I do not feel the need to look down upon what my schooling is because it has really helped me. But I do not necessarily think that home education has to be pitted against that. I would also like my children to have all those opportunities. Not sending them to school does not necessarily mean that I am keeping them away from all of that. I think there are two pieces there. One, is that choosing homeschooling is not a choice against education, it is a different style of learning. So, it is not that I do not want my kid to learn, it is I want to help my child learn. And then I think the other big piece is choice. Is choosing the environment in which they want to learn. Whether it is at home with parents who are actively supporting them and helping them learn, or at school. It is the choice to do it. Not, like you said, not pitting one against the other as one right or one wrong. PUSHPA: Yes. I think so. I think concerns from the people who are not aware of home education, because they are worried that these children might not be able to give examinations, which is the big thing. You know when they are fifteen they have to take some form of examination. I think in the United States it is GED but we have our own here. I think that is the biggest concern. The amount you will score in those, which is the grade. I think that is a lot of where the fears come from that people ask me is “What will she do when she has to take an exam?” When she has to take the exam, she might have to, I do not know. We do not have a passport that is very powerful, so if she wants to travel abroad and she needs to take an examination, I am guessing that if she is motivated enough she will take that examination. PAM: Exactly. That is the whole choice bit too. That is where your motivation and where all the connections will come because she will have a goal—or for anybody that will have a goal. Even here, when they say, “What if they want to go to college?” Well, you know they can. It does not mean that all the stuff they are learning and doing for the last ten years was a waste. No, it is just different and they will spend some time focusing on this stuff because that is something they want to accomplish. PUSHPA: Yes. I think that there is a difference between schooling and education. To quote a very often quoted line, Mark Twain’s, “I don’t let my schooling interfere with my education.” Generally, that is true. I do not think that by not sending your child to school that you are not necessarily invested in letting them have a good education. PAM: Yes exactly. I love that. PUSHPA: This would not be possible without his support. He as always been one of the—he said it in sarcastic or humorous way—“outstanding student,” like the one that was standing out of the class. Physically out of the class. He always says that if he had not found computer science he did not know what he would have ended up doing because computer science just clicked for him. It is all about logic and that it was amazing that he was around at time when computer science was just picking up. That really opened doors for him because he was hooked, that is what he says. I think it was nice to have that because I was total opposite of that. I was the academic achiever, I ranked first through, up until my master’s I was the straight A student. School and school performance was big, big, big on my agenda. So, he is the exact opposite. Someone who could not be bothered with grades but just was all about learning and understand. I think that was big, big for me because I never knew anything about that. Because academic performance was very big for me personally. I think meeting him, knowing him, staying with him helped me see that, okay, you do not need to worry about the grades but you can still be very smart and know a lot. I think that helps. It kind of helped me pursue this track because he is kind of the living example for me for someone who can achieve what they want even though they are not really big on the grades. Having said that, he is also not around the kids a lot and so not directly in on the journey as much as I am. He did say that if I talk to you that his biggest learning is to not be fearful and not respond in kind of a knee jerk reaction and to be just patient and understand. Which he is learning that as soon as he starts to teach Veda something he realizes the irony of trying to teach her because she will only learn what she really wants to in that moment. He said that and it was nice to hear because I would say he is definitely on board with this and interested in having more time available in the future to support a lot of interesting projects and that he is interested in and hoping that the kids would get excited by too. PAM: That is awesome that he is looking forward to more time to share stuff with them. That is great. 8. You also work part-time as a speech pathologist, and work online with clients around the world. Can you share some suggestions for an unschooling parent who might have some concerns about their child’s communication skills? PUSHPA: Yes. I do work a lot with unschooling parents thanks to Sandra’s link on her website, she has linked me as one of the therapists. I think that is where most of the parents find me. If you have concerns about your child’s communication skills then I think the important thing is to acknowledge it because maybe your child is also struggling and so it is nice to actually acknowledge it and figure out if your child really needs help, so that is number one. Second thing is, do not panic. Language is not something that can get fixed overnight it is a process. Stimulation, you have to be around child and language is something that needs constant enrichment. You have to break it down and you can learn techniques which is what I teach a lot of the families to do on their own. 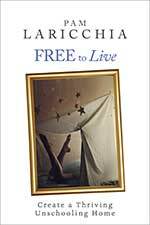 If you do not have an unschooling-friendly therapist it is not the end of the world. There is a lot that parents can do. The things that I really try to push for to educate parents on how they can be their child’s partner and there are a lot of programs. One of the best ones is out of Canada, actually, it is called Hanen. It is for younger children and it is all about how a parent has to be aware and listening and receptive and share every environment with the child alongside providing that language input. There are a lot of other people also who think this way who have not necessarily been labeled as unschooling so you kind of have to be resourceful. I think that is the biggest thing for parents that have any need that has to be met. Whether it’s disability-based or otherwise. So, I think those are some of the suggestions that I would have for unschooling parents, especially about speech and language. Be resourceful, find out what you can do at home and jump right into it and actually do it. PAM: That is awesome. You want to help empower the parents to help and to know and not get stuck in that fear. PUSHPA: Yes, because when we start doing something about it, the fear kind of goes away and you start teasing apart what needs to really happen and then you can focus on doing that. Then you try it, and if that does not work then you try something else—you have to keep trying. Language and speech takes time. By evolution that is the last thing that kinds of comes in. We start walking and moving way before we start talking. Our language is fully developed only by the age of seven. So, if there is a delay in it, that is the last thing that can come in, while our other motor skills kind of stagnate unless we push forward for them to improve by pursuing dancing or whatever, on the contrary our language keeps improving as we keep adding to it through experiences and learning. Our brain is a very powerful organ that we do not understand entirely so I think we have to do whatever it takes to help our child tap into that potential that is in our brains. PAM: That is really, really fascinating. I can see why you find that so interesting. I’ll share the link too because you have some good information on your website as well. PUSHPA: I was lucky in choosing to be a full-time mom at a point when technology had really kind of picked up. So, eight years ago I got into tele-practice, which is delivering speech and language services through the internet. It was not being done that much at that time but now it is really picking up abroad. There are maybe a few people here in India doing it. I have been doing it for like eight years now, coming up on eight years now. I was lucky. I would say that all of this fell into place, so I never really took a break so to speak from working because I always worked all through even with Veda being a baby. It was just that the hours were different so when she was very little and she had baby needs I could easily work a lot more because I could work when she was asleep. In fact, it is the opposite now that they have grown I have actually started working less because I have more things to do with them. Having said that though, I do have a part-time clinic now, but I am fortunate enough to not be the bread winner for the house so I do not have that burden on me. I can cover my rent and still make some spending money through the clinic. I do not work a lot, I definitely work part-time. The online component is very exciting for me because I can work in a room where my kids are. Most of my clients know that my kids are around me so I am upfront. 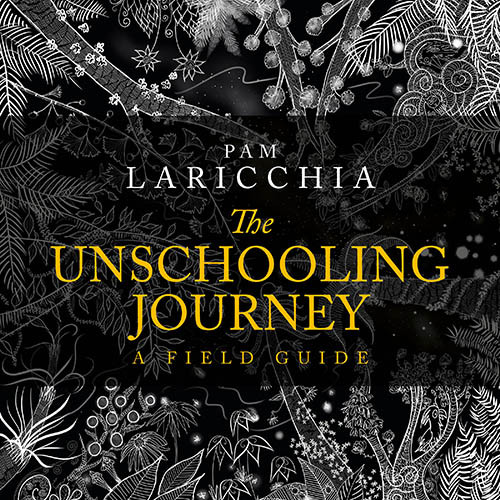 I tell all my clients whether they are unschooling families or not—in fact, most of my clients are not unschooling families—they know that my kids are there and that I will reschedule if my kids are sick. People are very okay with that because they are not traveling and it is all online. I think more people are excited about not having to travel to go see a therapist. Online therapy, if the situations are right, works really well for speech therapy because you have the client’s undivided attention. They are looking at you, listening to you, they can work on the technique. So, I am lucky that I am a speech therapist and not another kind of therapist that would physically require manipulation of a hand or something like that. PAM: That is interesting and I love that you share that your kids are there and I would think that most people would be open to that. That they understand that, like you said, they do not have to travel so it is a lot easier to rearrange a phone call if need be. PUSHPA: I work with patients that have aphasia. That is, they have language impairment from a stroke. Most of them are homebound, they are isolated, they are very excited to see little kids because it is tough to be isolated and homebound and not have too many opportunities to interact. So they actually welcome it. Some of them will actually ask to say hi to my kids. PAM: Aww, that is awesome. Sometimes they are not learning what you think they should be learning but then you get surprised and you literally have to eat your own words because you realize that what you thought they were learning, not only have they learned that, they have learned above and beyond that which you have never even considered so. PUSHPA: I also have to say, I am human. I do make all these mistakes that I am so eloquently telling others—I definitely do not want to sound like I am preaching or anything. I can eloquently talk about it but I do not necessarily know how to do it all the time. I am still learning how to be a facilitator rather than a director. PUSHPA: If I could say one thing like at the homeschool meetup that we just had, one of the moms did a session on Do Nothing. That was the hardest part for most parents, to ‘do nothing’ sometimes. PAM: Thank you so much for taking the time to speak with me today Pushpa, I had a great time! PUSHPA: Yes, same, like-wise. I enjoyed myself too. That was nice to recap some of the things I have been thinking about but I have not really recapped it in sort of a structured way, so I think this conversation was nice to be able to do that. PAM: That’s awesome. And before we go, where is the best place for people to connect with you online? PUSHPA: I think the easiest way to reach me online is just my personal email, pushpa2812 at gmail cot dom. 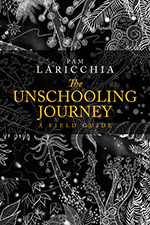 PAM: Okay, that is wonderful I will share that and the link to your website and those other links for some of the homeschooling groups in India that you were going to share. Thanks so much and have a great day! PUSHPA: Yes, you too. Thank you for giving me this opportunity to talk about unschooling and homeschooling.